Close to Denver, but closer still to the untamed waters of Cherry Creek. Make the most of the top-ranked school system, weekend farmer’s market, outdoor summer concerts plus a variety of local restaurants and breweries while enjoying convenient access to the Denver Tech Center and greater Denver Metro Area. Peak83 is the Colorado you long for, with a long list of inspiring details and best in class finishes. Spend an evening relaxing in our zero-edge pool enjoying a spectacular Rocky Mountain sunset or an afternoon perfecting your golf swing in our in our sport simulator. It’s time to expand your horizons…and live at the height of experience. 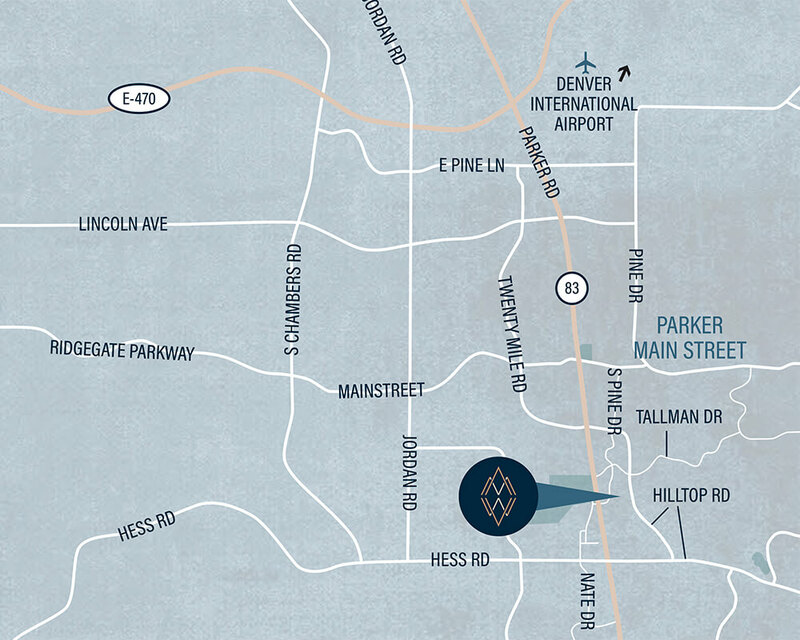 Peak83 is the most desirable new address in Parker, Colorado. Simply tell us how to contact you, along with anything else you’d like to share, and we’ll keep you informed as our apartments become available for pre-leasing. We’re so glad to have you on our list.